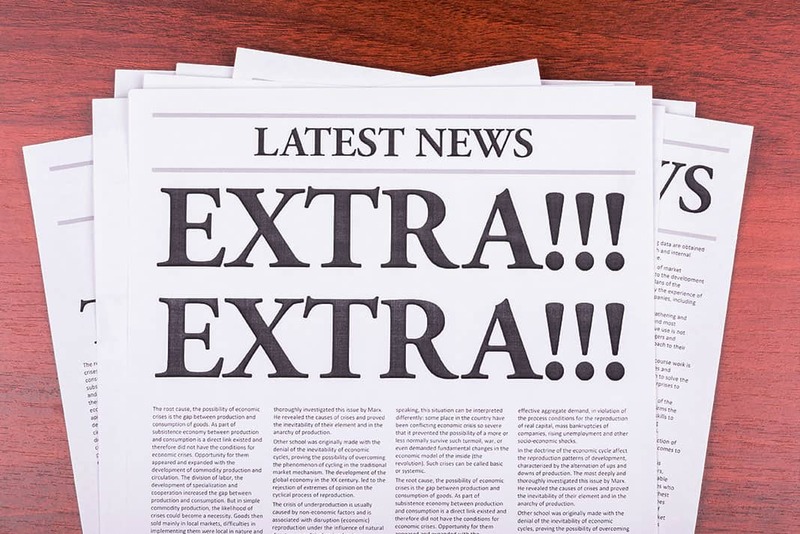 Here are your RV news highlights for the week of April 6 to 12, 2019. Dozens of people living in a Salem, Ore., RV park have had to move after a nearby creek rose and flooded the area. Rickreall Creek, just behind the Premier RV Resort, flooded due to heavy rainfall earlier this week, and managers at the park say they are not out of the woods yet as more water moves closer. At least five residents living in the Raintree RV Resort off North Tamiami Trail in North Fort Myers, Florida, found their car burglarized Monday morning. Victims reported the break-ins to deputies after finding their cars rummaged through. Most were left unlocked and unattended, according to the Lee County Sheriff’s Office. Many victims said the thieves emptied their consoles of cash and coins, but left other valuables behind. The Moses Lake City Council, Wash., voted last week to ban camping between 6 a.m. and 10 p.m. in open public spaces. But the council removed a portion of the ordinance that would have allowed for civil infractions to be issued for violators. So, in effect, the police can ask violators to move but they can’t force them to do so. The first ever Enumclaw, Wash., RV Show, August 1-4, near the base of Mt. Rainer, will offer onsite RV camping and include RV electricity seminars by national authority Mike Sokol of RVtravel.com. The law firm Scott+Scott is investigating whether members of Camping World’s board of directors made or allowed Camping World to make false and/or misleading statements and/or failed to disclose that the company’s disclosure controls and controls over financial reporting suffered from a host of material weaknesses. Read more. A motorhome fire was extinguished by Marion County, Ore., Fire District firefighters last Saturday on I-5, but not before it was destroyed. The occupants of the RV were able to safely exit the vehicle and there were no injuries to the occupants or firefighters, according to a fire district press release. The cause of the fire is believed to be from a blown rear tire. The estate of a Michigan man who died following a Florida car crash last year must pay $10 million to the families of two teenagers who also died in the crash, according to the Associated Press. Walter Roney, 99, of Dearborn, was driving his RV the wrong way on a Fort Pierce, Fla., divided highway on Feb. 6, 2018, when he collided head-on with a truck driven by 18-year-old Santia Feketa. This Jayco trailer was struck from behind and totaled near Goshen, Indiana, by a distracted semi-truck driver. Other vehicles were also involved and there was one death. An Alaska state campground in Denali State Park and another in Nancy Lake State Recreation area have been closed to the public due to health and safety concerns resulting from spruce bark beetle infestations. The Byers Lake Campground in Denali and the South Rolly Campground at Nancy Lake will remain closed throughout much of the summer and possibly into 2020. A new New York law took effect this month that requires all solely battery-operated smoke detector devices that are distributed, sold, offered for sale or imported, to employ a non-removable, non-replaceable battery that powers the device for a minimum of 10 years. The provisions of this new law do not apply to battery-powered smoke detecting alarm devices which use a replaceable, removable battery if they have been ordered by, or are in the inventory of, owners, managing agents, contractors, wholesalers or retailers on or before April 1. Gasoline prices won’t stop rising through the Memorial Day holiday until finally peaking in June, when they will begin to fall, the federal government said Wednesday. The Energy Information Administration released its weekly oil price analysis on Wednesday as the cost of gasoline reached nearly $4 per gallon in some parts of the country in the last week. The Spearfish, SD, Planning Commission is taking another stab at a revision to the current city ordinance pertaining to the storage and parking of trailers and commercial vehicles, setting a public hearing next week to consider the newest proposed text. The goal is to provide flexibility for property owners in Spearfish to park RVs and trailers in their driveways for longer than 48 hours, the current limit, while achieving public safety goals. Without fail, every time we cook in our trailer we take the smoke detector down and put it under a pillow on our bed so it doesn’t go off. Would be awesome to find out where we can purchase those battery-operated smoke detector that last 10 years. I bet they would be a very much in demand! I change all my B/O smoke detectors in my motor home & in my house around the first of the year. Actually the ones in the house are hard wired with the battery back up! There are many brands available. Amazon has a good selection. Just search 10 year smoke detector on the site. This means no more pulling the battery when cooking. In such a small space, sometimes even with the exhaust fan on, the smoke detector alarms. It will make you crazy if you can’t shut it down for a few minutes. I always replace the battery afterward. It means that, when your smoke detector battery dies, now you pay a minimum of $20 for a new detector, instead of $1 or so for a battery. Then there is the disposal. I don’t imagine too many people in NYC will be spending the time looking for somewhere that might take them for recycling. Just toss them in the trash. Another misplaced and short-sighted idea to attempt to legislate against stupidity. When the smoke detector battery dies, replace it, end of story. Anything less proves Darwin wasn’t totally crazy. Understand your frustration, but current smoke detectors are not reliable after 10 years. And many say replace after seven. I recommend we all look at the experation date on those we have been replacing batteries in for years. I replaced all six of mine including two new ones still in the box. All of mine expired from 2008 to 2015. Seams to me; $20 every seven to ten years is a great price for what they do. After ten years the isotope in the detector has degraded to the point of uselessness! replace every 10 years regardless.